Choo, choo! Here comes the neato number-train! There’s space in the locomotive and wagons for just the right number of balls. Using the magnetic pen, children guide the balls from their parking space and load them onto the train. 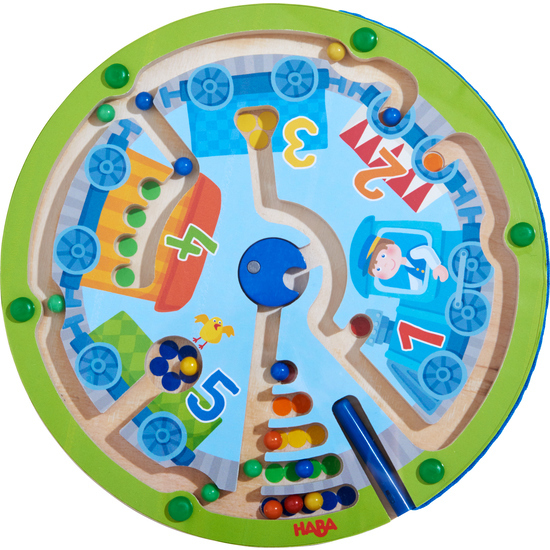 With this magnetic game, Neato number-train, children playfully become familiar with numbers 1 to 5.